Need a special getaway location that feels like a vacation all year long? Living near Ocala, Florida just got a whole lot more fun, as the excitement and anticipation of Silver Springs real estate is bubbling toward an explosion in the marketplace! Hot properties are simply disappearing as people swoop in to grab up the opportunities. Don’t miss out on this amazing family friendly environment! Location in Marion County, Florida, Silver Springs homes for sale are quickly becoming scarce as new residents race to fill up the surrounding areas. Due to the natural beauty of the enveloping Silver Springs parks, first time homeowners are eager to move in and begin their outdoors adventure that will last all year long. Because of the fantastic climate, access to key tourist retreats, and the unique culture of the area it can be hard to find exactly what you’re looking for in terms of budget and availability. But fear not! You have local expert guides for his excursion! Realty Executives Brokerage knows all of the ins-and-outs concerning Silver Springs real estate and they’re ready with diverse options to present to you. The collection of data they have gathered is astounding, and you’ll be amazed by their ability to anticipate the market ahead of time. 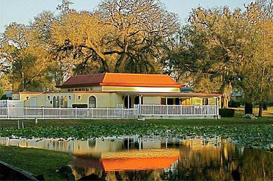 Silver Springs Ocala is called “Nature’s Theme Park” and you won’t disagree once you step foot across the border. Weekly concerts featuring big name bands like Styx and Blue Oyster Cult frequent the park consistently. Special events like the Midwest Cheer and Dance competition also headline various occasions throughout the year, offering different and exciting forms of entertainment month after month. Field trips for classrooms are also common, as the local schools take advantage of being immersed in the beautiful scenery and breathtaking atmosphere. For more information on how you can begin your lifelong vacation, contact the local experts at Realty Executives today! They are ready and waiting to assist you in finding the dream Silver Springs real estate that you’ve always wanted, but never knew existed outside of your fantasies.